This beach resort destination near Bangkok answers to diverse accommodation demands, from cheap places to stay to top 5 star resorts. If you use our search box to the left you can expand your search to see hundreds of venues, but for quick reference to the most recommended luxury accommodation we offer a list of the best hotels in Pattaya selected for their great facilities and perfect locations supported by excellent guest reviews, the latter we watch closely so you may book with confidence. Once a small fishing village the city developed into an international leisure destination. Its fabulous beaches, exhilarating albeit raunchy nightlife in Walking Street as well as moderate evening hang-outs, more recreational activities than you will have time for like trips to nearby islands, aquariums, an original floating market and elephant village means that in Pattaya the sun never sets. 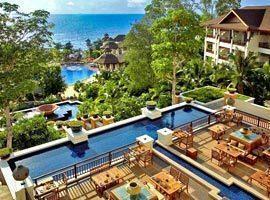 Not only will singles and young travelers find this exotic party pot a bottomless pit of entertainment, but it is undeniably a paradise for kids with the best 5 star hotels for families in north Pattaya like Centara Grand Mirage featuring a water park with pools and slides. It lures the culturally orientated and sport enthusiasts with historical sites, temples, water sports and golf courses and there are romantic places to stay like Cape Dara Resort and Z Through By The Zign on restful Naklua Beach. 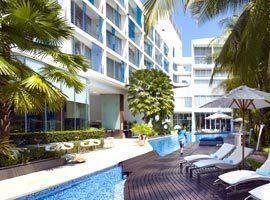 Amari Ocean enjoys a popular location on Beach Road and is walking distance from attractions such as The Tiffany's Show and Walking Street and a quick Tuk Tuk ride from Bali Hai Pier. 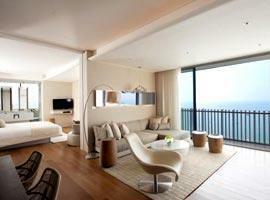 It offers luxury suites with ocean views. 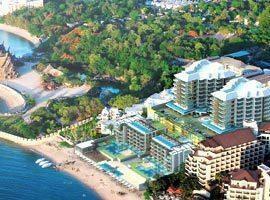 This chic and trendy resort with a private beach is located in Naklua toward the tranquil north, approximately 10 minutes form city centre entertainment. It features exquisite penthouses, a family suite and luxury villas with your own pool. 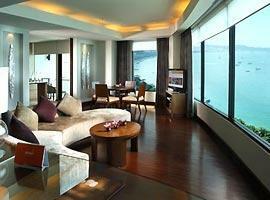 Centara hotels are best for family holidays in Thailand and this is another great example. Located on tranquil Wong Amat Beach it features a lost world jungle theme with a seaside water park, kids club and a 2 bedroom duplex suite. 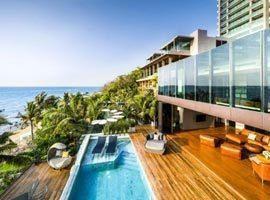 The private beach of this new beachfront hotel offers privacy and exclusivity. With deluxe ocean facing rooms and direct pool access rooms it is a couple's dream, but also cater for families in family residences with separate kids sleeping areas. Centara Phratamnak is located in south Pattaya and feature exquisite room interiors with wooden Italian furniture and subtle Oriental decor. 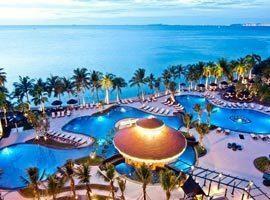 A rooftop jacuzzi, a rooftop restaurant and infinity edge pool offers sweeping views of the bay. Combining direct access to 2 beaches which is as close to private as it gets with 5 star accommodation near nightlife and shopping Dusit Thani is the ideal base to explore the pulsating city while you can quickly retreat to its sanctuary of calm. The Hilton is an award winning hotel near nightlife and Central Festival Shopping complex. The 34 storey towering land mark offers peerless views of islands in the bay from rooms with private balconies as well as from its infinity edge pool. Located on Beach Road in the city centre you are walking distance from everything and connected to a mall featuring Ripley's believe it or not. 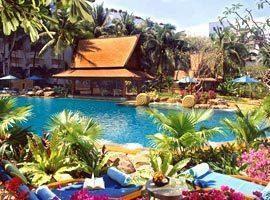 Yet, within its tropical garden setting you will enjoy peaceful tranquility and lots of privacy. 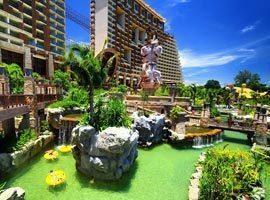 Located on Pattaya 2nd Road you are in the heart of the city and near entertainment. Recommended for couples the rooms are romantic with open style bathrooms. Features a fitness centre, indoor tennis courts and mini golf. With 150 global awards including tripadvisor's top luxury hotel award Royal Cliff is 4 lifestyle venues in one ranging from casual to exotic and formal to ultimate luxury. 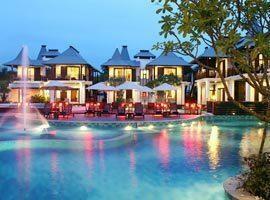 It features 6 pools, 2 health spa's, a kids world and 2 exclusive beaches. 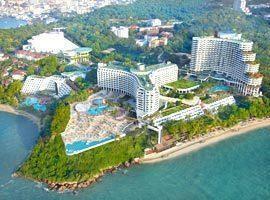 The Sheraton is a beachfront resort with a seaside setting second to none. Featuring a private beach in Prathamnak to the south you are guaranteed unhindered relaxation, yet you are near attractions including Walking Street. Located on tranquil Naklua Beach with pool access rooms, villas offering a personal pool and Ozone Rooms with glass floors revealing water life, Z Through By The Zign is the best place for couples looking for something private and romantic.